Looking for a modern plaque for your office wall? Our Black and Gold Perpetual Wall Plaque is right on trend! It features rounded edges with a high gloss black piano finish. 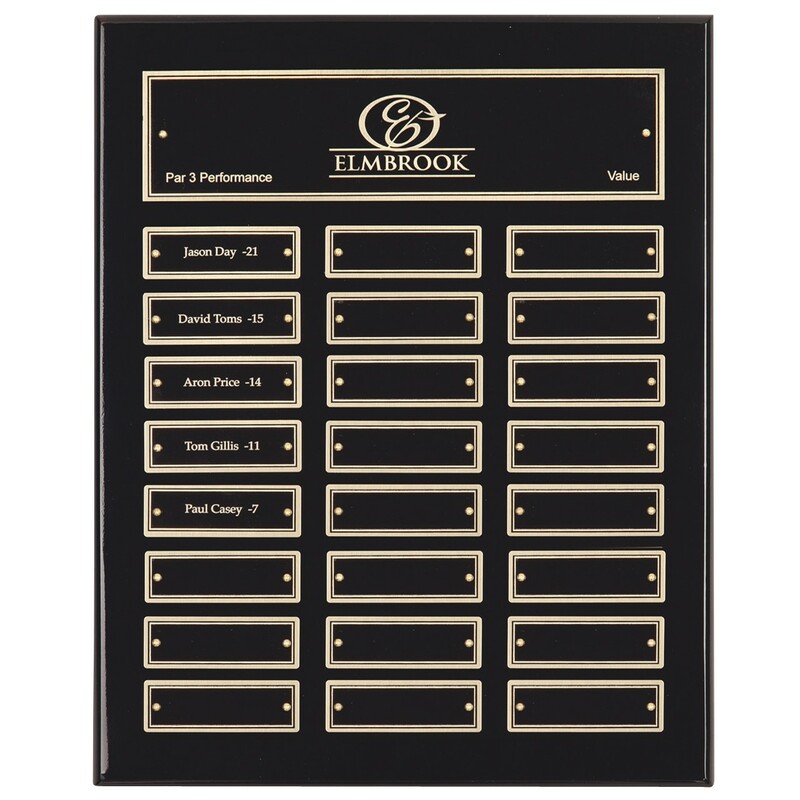 Symmetrical black brass plates with gold edges record your award winners. 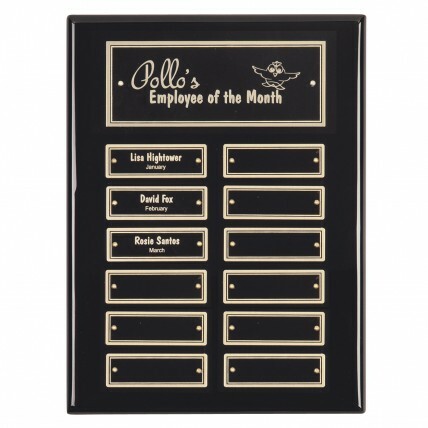 Engrave your award title, company name, or logo for free! This plaque will be perfect for any company and last for years to come! 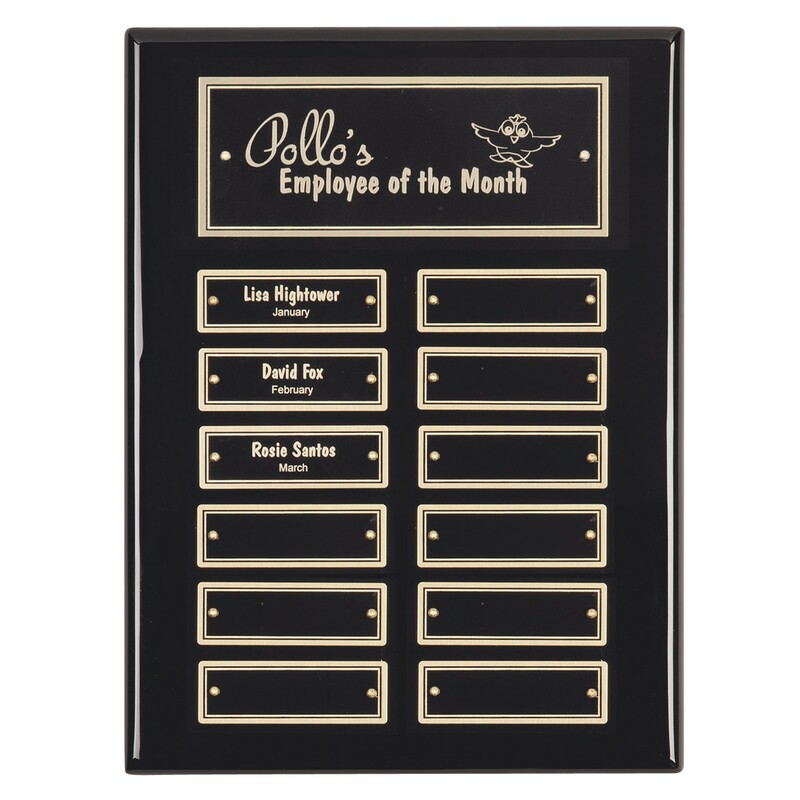 ***Note: Individual perpetual plate engraving is NOT included in the price of this plaque. To add individual plate engraving to your order, please add Product #6784 to your cart. Ordering More then 20 Click Here For Large Order Quote!